 Log In needed $79,990 · LIKE NEW! 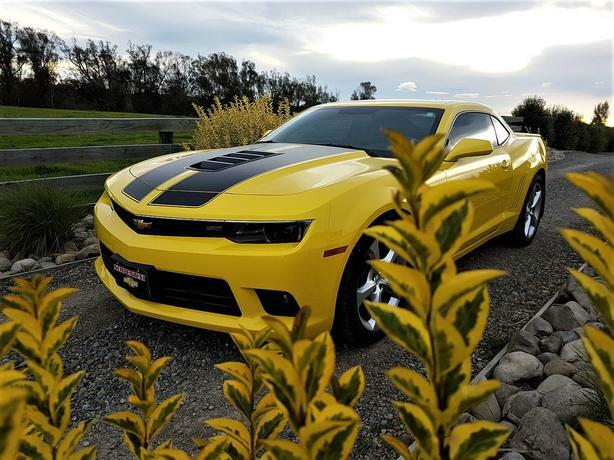 Nothing succeeds like excess and for tire-burning power and Hollywood looks, it doesn't get much better than the 2015 Chevy Camaro. I suppose when it comes to evaluating the wisdom of major purchases, the dynamic involved often boils down to the classic question of "need" versus "want." Staking out a clearly defined and heavily defended position on the "want" end of this spectrum is the 2015 Chevrolet Camaro...and what a car this is. The Camaro SS has a 6.2-liter V8 that puts out 426 hp and 420 lb-ft of torque. This is a car for the muscle car purist, who believes a proper Camaro needs a brawny V8 engine under the hood. This is a 'Special Imports' vehicle. The lucky buyer will be registered as the first owner in New Zealand. It has only had one other owner in the USA and only traveled 4060 miles. Its in 'Like New Condition'. FEATURES - Too many to list here. Visit www.waimakclassiccars.co.nz for more information, photos and video on this vehicle. Recently imported by us from the USA, this car is being sold in like new condition. Finance can be made available to the right buyer. This is one great muscle car. A joy ride with a note that sends shivers down your spine. Amazing torque and power. You can't not fall in love with this car. Will be sold vinned, WOF'd and Registered - all included in asking price. TRANSPORT / SHIPPING CAN BE ORGANISED ON THIS VEHICLE ON BUYER'S BEHALF AT BUYERS COST. Viewing is STRICTLY BY APPOINTMENT only. © POST A NOTE 2019 LIMITED.